Apple’s iOS 12 was announced back in June at WWDC, and it’s finally slated to arrive next week on September 17. Here are all the big changes that you should know about. Got it? Good. Then let’s take a look at what’s new. When it comes to older devices, improved performance is always a welcome change, and iOS 12 is supposed to bring just that. According to Apple, you can expect the camera to launch up to 70 percent faster, the keyboard 50 percent faster, and app switching can be twice as fast. Those are some solid numbers. With iOS 12, Siri will be able to interact with more apps, and you’ll be able to “program” custom commands to string things together. During the WWDC Keynote, Apple demonstrated using Siri Shortcuts to find a lost set of keys—the digital assistant was able to open the Tile app, and then use it to find the tracker attached to the keys. Aside from that, Siri will use machine learning to pick up on things you routinely do—like picking up coffee on your way to work, for example—and execute related commands directly from the lock screen. 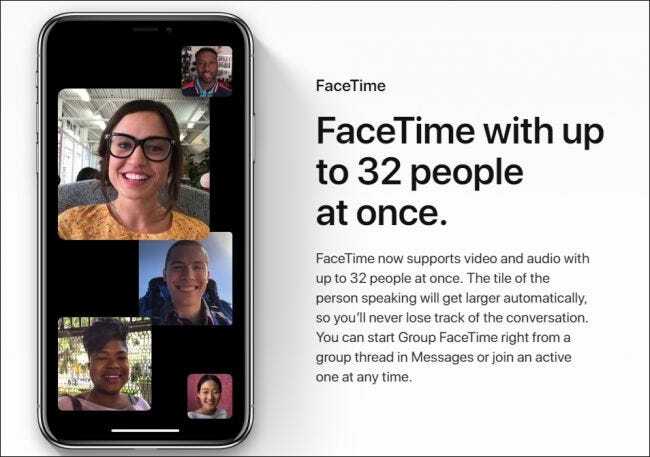 Group FaceTime was a feature that Apple showed off at WWDC back in June for iOS 12, but unfortunately, it’s been delayed and won’t show up in the initial iOS 12 release. This feature would allow FaceTime to support groups of up to 32 people. That group can include both video and audio participants, and people in group iMessages chats will be able to move in and out of the call. Hopefully, we’ll see it soon enough in a future iOS 12 update. 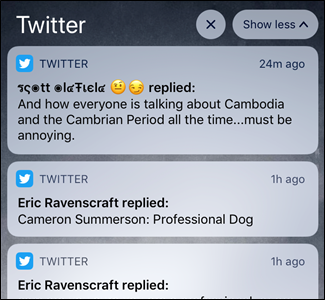 The notification system on iOS has always been one of its weaker points, especially when it comes to getting multiple notifications from the same app. In iOS 12, you don’t have to see all 19 of your Facebook notifications on the list, because iOS 12 groups notifications from the same app. 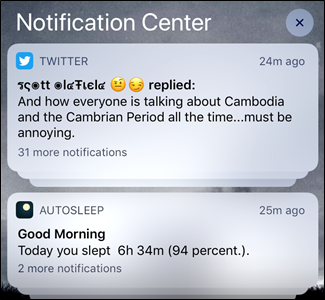 Instead of having tons of notifications from the same apps clogging up the Notification Center, you’ll have stacks of grouped notifications that you can tap to expand. So much cleaner. You can also control this feature on a per-app basis, so you can group the ones you want and separate the others. Augmented Reality has started to become a focus for many developers, especially since Apple and Google both built platforms to help create compelling AR apps. Apple’s ARKit will hit version 2 with iOS 12, and bring with it a lot of cool new features to AR—like the ability to play games with other people. Aside from just gaming, there’s also a new app named Measure that puts AR to some practical application. 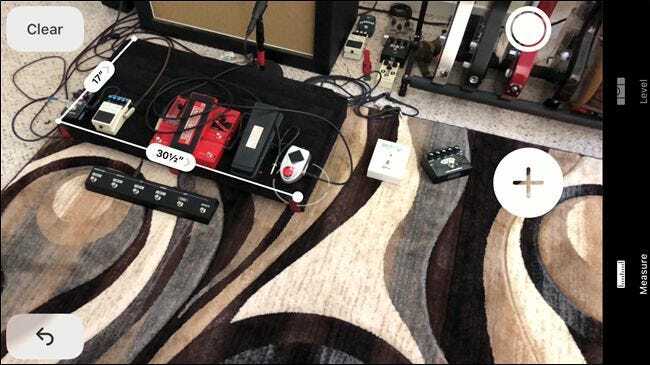 It uses the phone’s camera to measure anything in the room, and it’s surprisingly accurate. It’s one of the coolest features we’ve ever seen using AR. To further what’s possible with AR, Apple also created a new file format called USDZ, which is exclusively for AR video. This will improve the creation and sharing of AR videos and content. Both Apple and Google are looking to combat people’s propensity to use their devices too much with their respective takes on digital well-being. For Apple, this comes in the form of a new “Screen Time” setting. 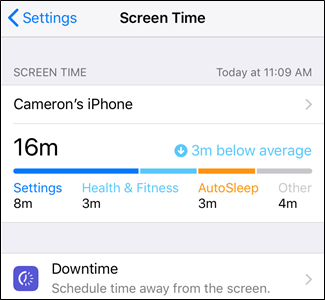 Screen Time can tell you how much you use your phone—and the apps you’re looking at most—and then allow you to set custom limits on how much time you can spend in specific apps. You’ll also be able to set up custom screen time rule for the entire family, add certain apps to a sort of whitelist, and enable a PIN before Screen Time can be bypassed. Do Not Disturb will also see some new features, like the option to enable it per location or event. 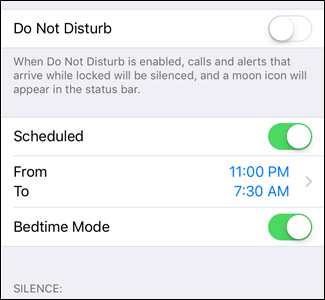 There’s also a new “Bedtime Mode” option that disables all notifications at night, including those that would normally wake the screen. If you use a third-party password manager, you’ll love this one. iOS 12 will allow you to use password management apps like LastPass or 1Password to automatically fill in credentials on mobile websites and apps. So, no more leaving your app, firing up your password manager, copying the password, and then returning to your app just to paste it in. Similarly, SMS 2FA security codes will also appear as AutoFill suggestions as they come in. iPhone X users love their Animoji, so it’s no surprise to see Apple add more flair to this feature. 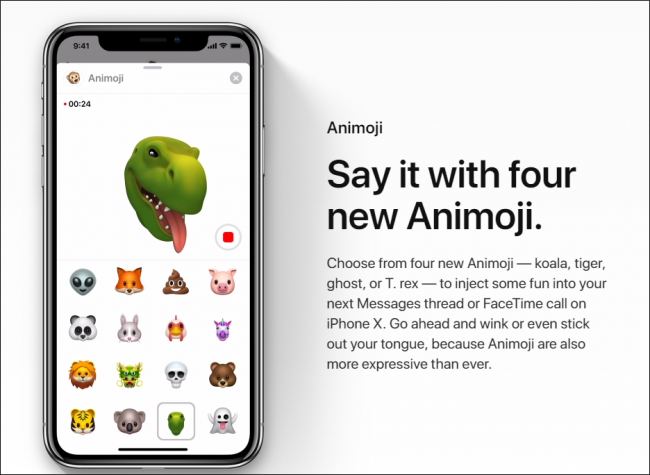 Not only will X users see four new Anomoji—a koala, tiger, ghost, and t-rex—but they’ll also have the ability to craft an Animoji (called a Memoji) that takes on their likeness. It’s kind of like Samsung’s AR Emoji, but Apple-style. Also, tongues will be involved. Get ready for that. The Photos app is getting some improvements in both sharing and search. In iOS 12, Photos will intelligently pick your best shots and offer to share them with the people you care about. Search suggestions will make it easier to parse your photos and find what you’re looking for by preemptively offering access to people, places, and events. It will also learn as you use the feature, making for even faster access to the things you care about. Apple took a page from Google Photos on this one. If you’re a CarPlay user, this is likely something you’ve likely longed for. CarPlay is getting support for third-party navigation apps, like Google Maps and Waze. 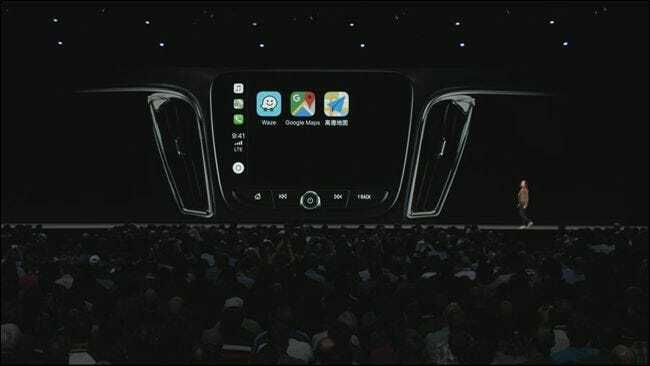 So, if you use a different app and have been frustrated by having to switch to Apple Maps when using Car Play, that frustration will end soon. With iOS 11, the iPad got its first taste of gesture navigation. With iOS 12, these gestures get even better by adopting a lot of what makes gesture navigation on the iPhone X so good. You’ll be able to do things like getting back to your home screen by swiping your dock or swiping from the top right corner to bring up Control Panel. In iOS 12, Safari is getting some excellent tracker blocking features. 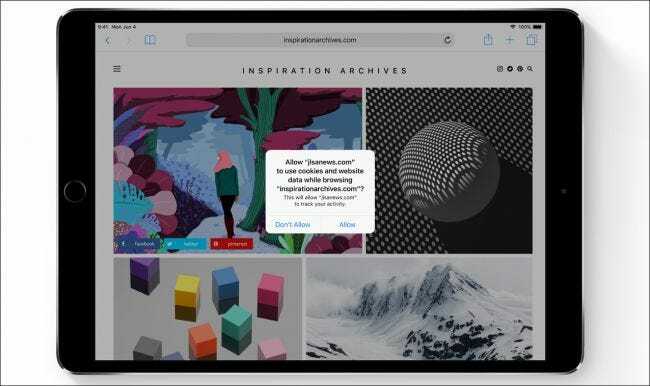 By default, Safari will block all social sharing buttons and social-connected comment boxes without your approval, keeping tracking agents from following your activities across the web. It will also stop advertisers from collecting your device’s defining characteristics, making it appear just like every other iOS 12 device on the web. This keeps you anonymous and makes ads less personalized. To improve Face ID’s accuracy and usefulness, you’ll be able to add more than one “appearance” on iOS 12. 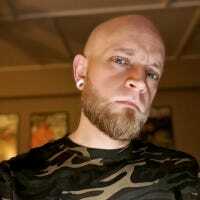 This should help Face ID “learn” your looks, making it work better for you overall. Also, if Face ID fails to recognize you the first time, you’ll be able to swipe up to retry instead of being stuck with putting in your passcode. Currently, when an iOS update comes in, you’ll get a notification to download it, and then another to install it. 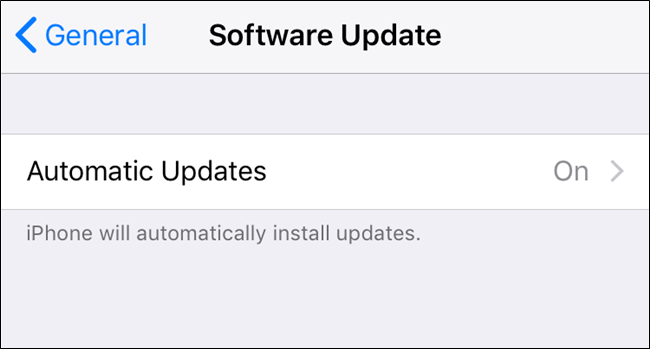 With iOS 12, there’s a new Automatic Updates feature that appears to download updates as soon as they’re available, and then automatically install them. It’s unclear so far exactly how this system will work since there hasn’t yet been an update for iOS 12. We don’t yet know, for example, how much control you’ll have over when it can do its downloading and installing. The App Store has always provided a specially curated experience, but with iOS 12 it also uses machine learning to show you more content that matters to you. It will intelligently pick and choose apps and games that it “thinks” you will like based on your past installation and usage history. These will then be highlighted on the App Store’s main page. 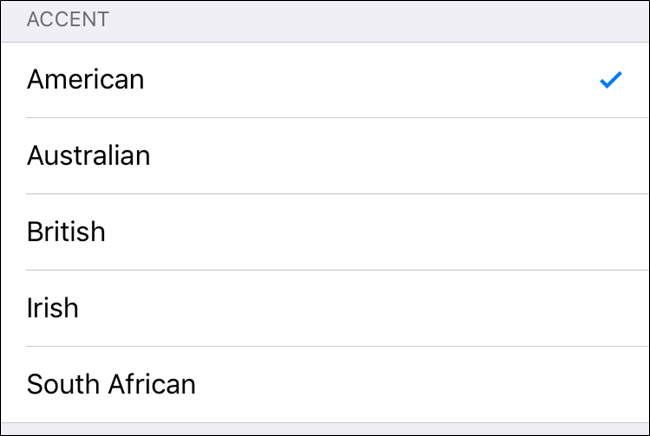 If you’re tired of the same old Siri, iOS 12 should make you a bit happier: Siri is getting Irish and South African accents on top of the existing few that you were already able to choose from. You’ve always had control over what can be accessed when your device is locked, but there’s a new feature in iOS 12: USB Accessories. With this option disabled, USB access will be denied when your device has been locked for more than an hour. This is notable because it will disallow USB devices from gaining access to locked iPhones, further keeping your private info protected. Apple News: Redesigned navigation and browse options. Stocks: Totally redesigned in iOS 12. It will also be available on iPad. Voice Memo: Also coming to the iPad for the first time. Apple Books: iBooks is no more. Say hello to Apple Books. Totally redesigned. Users have been able to use their iOS device as a remote microphone for improved listening with hearing aids for a few years now. In iOS 12, this feature is also going to become available with AirPods. You can add this option to the Control Center under the Hearing menu.